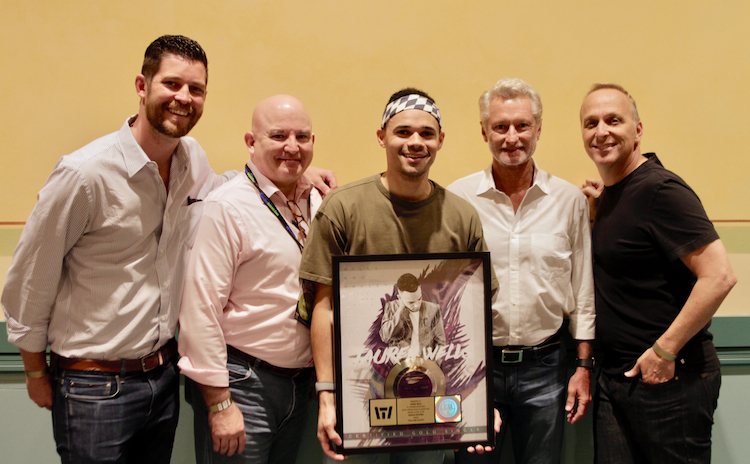 Provident/Sony Music recording artist Tauren Wells continues to celebrate the success of his breakout debut solo single, “Hills and Valleys.” The single, which peaked at #3 on Billboard, has recently been certified Gold by the RIAA (Recording Industry Association of America®). This marks an incredible year for Wells, who is also an eight-time nominee and performer at the upcoming 49th Dove Awards. Wells’ current single, “Known,” is currently #1 on Billboard Christian Airplay Chart. As a newly announced performer on the 49th Dove Awards, Tauren Wells leads the pack of artist nominees with eight nominations, including Song of the Year (“Hills and Valleys”) and New Artist of the Year. The Dove Awards will take place on October 16, 2018 in Nashville, TN at Lipscomb University and broadcast on TBN on Sunday, October 21, 2018. Tickets for the show are available at www.doveawards.com. This entry was posted in Christian Contemporary, Reviews and tagged Gold, Hills And Valleys, RIAA, Tauren Wells by Kris Patrick. Bookmark the permalink.